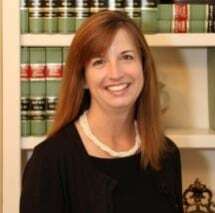 Julia A. Fifer practices in the area of family law for Fifer Law Office. In addition to practicing in family law, Julia is a highly sought after mediator in family law cases. Julia received her Bachelor of Arts from the University of Louisville in 1985 and received her Juris Doctor from the University of Louisville in 1989. Julia is admitted to practice law in both Indiana and Kentucky. She is a member of the Indiana State Bar Association, Floyd County Bar Association, Clark County Bar Association and Kentucky Bar Association.